It’s not often that you get a chance to be the first in school history to accomplish something. The 2018-19 LE Boys Tennis team did just that by defeating Blythewood tonight 4-3. 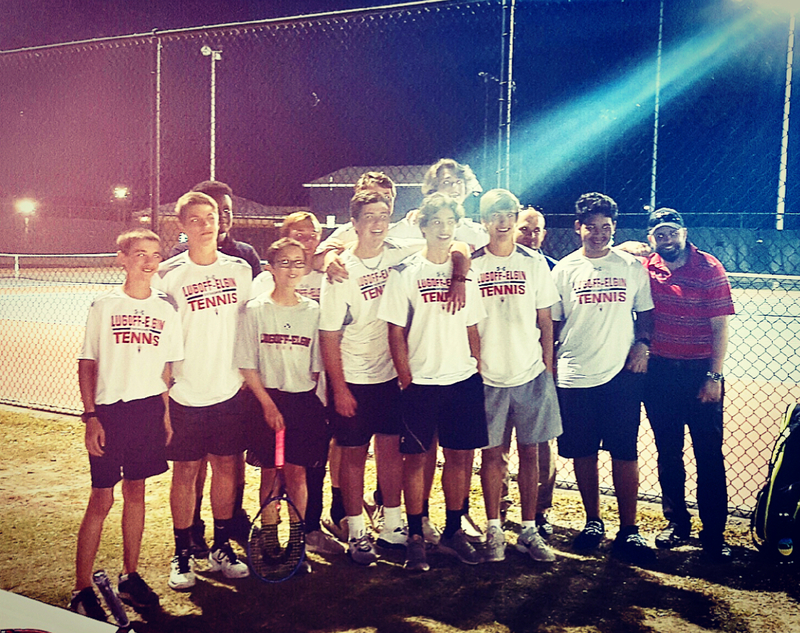 This is the first boys tennis team in school history to make the 5A playoffs. What’s more, they clinched the #2 seed in a strong, competitive region. LE will host the #3 seed from Region 3 (TBD) on April 25th in round 1 of the upper state playoffs. Spencer Hinton, Alex Hinton, and Coby Morrison won at singles. Spencer and Alex Hinton orchestrated a masterful first team doubles performance under the lights to clinch the victory for LE. Holden Roberts and Coby Morrison, both graduating seniors, were recognized before the match for their commitment to LE tennis. Each has had a stellar high school tennis career and demonstrated a commitment to excellence. We wish them the very best in the future.